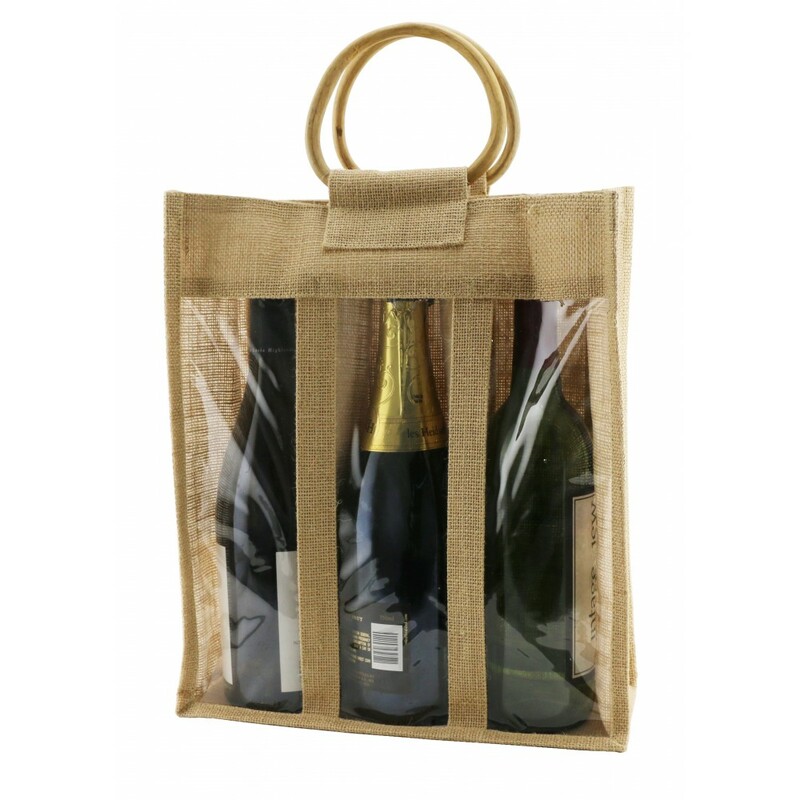 Jute Vino-Sacks™Jute Bag for 3 bottles with Window. 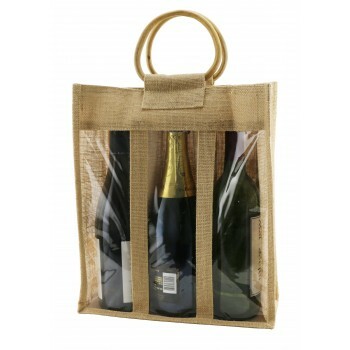 Ribbed jute sack is 100% Recyclable. 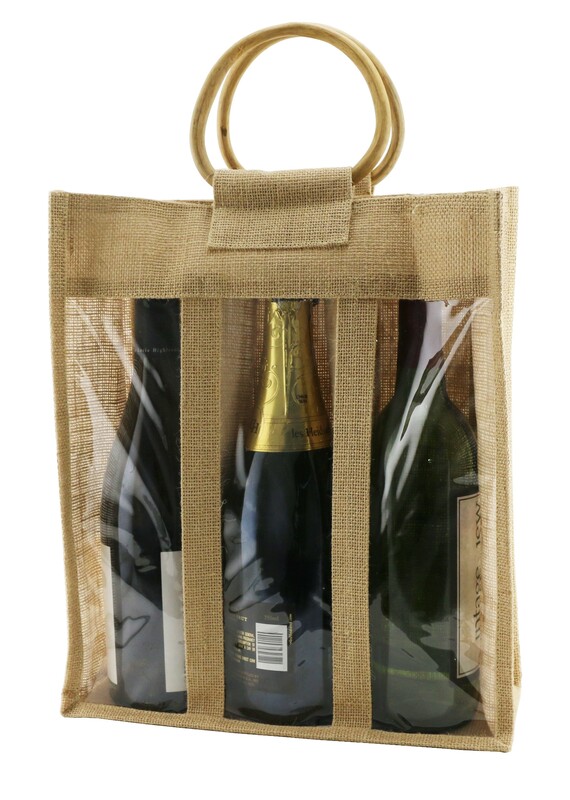 Undyed material has a clean, natural look. The gusset bottom expands to 4”. Natural dee cane handles with rafia binding. Barcoded tag sewn inside. Bamboo handles. 13-3/4” high, 12” wide, 4” deep. Imprint area: On window 1-1/2” x 1-1/2” Screen/Pad Print available. On jute at top: 3” wide x 3/4”. Laser engraving or Screen-Pad Print available.